Tide Dry Cleaners opened its doors 10 years ago, and we wouldn’t have thrown our crisp, clean hats into the ring if we didn’t believe we could make an impact on an industry that hasn’t changed too much over the years. With a load of laundry experience from Tide and years of industry knowledge from our franchisees, we think we’ve built something pretty special. So if you’ve never heard of the 7-Point inspection or GreenEarth® Cleaning before, then pull up a chair because we’ve got some things you might like to learn. 1. 24-Hour Drop-Off and Pickup: You shouldn’t have to conform to our hours ­– you’ve got your own schedule to worry about. Check out our convenient drop boxes and designated lockers. 2. 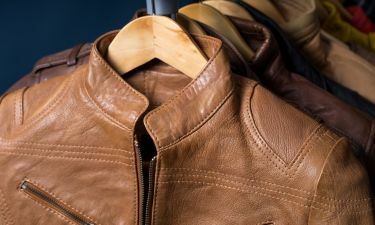 Automated Kiosks: Imagine an ATM, but for your dry cleaning. 3. The 7-Point Inspection: Every garment that comes through our doors gets the same thorough treatment. It’s more than just checking for stains. We’ll go as far as sewing on a new button if we find a broken one. 4. 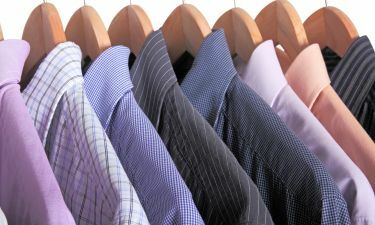 GreenEarth® Cleaning: A sustainable dry cleaning process that’s easy on the environment and even easier on your clothes. 5. Same-Day Service: If you’re a procrastinator, we won’t judge. If you have it in by 9:00 a.m. we’ll have it out by 5. 6. Carside Pickup: Errands shouldn’t be work. You’ve been working all day. Stay in your car and we’ll bring your clothes right to you. 7. Back-to-Black: We’ve all got those black jeans that were once crisp and dark but are now closer to gray. We’ll restore them to their glory days. 8. Alterations and Repair: We’re not just a dry cleaner. Because clothes don’t just get dirty. 9. Inner Circle Rewards: It’s a free rewards program with no strings attached. Enjoy savings, exclusive offers and in-store perks. 10. 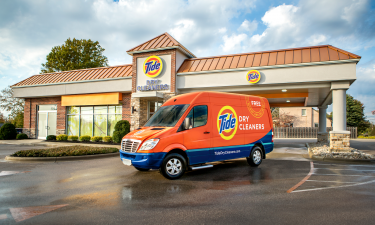 95% Customer Satisfaction: It’s the clean you’ve come to trust from Tide with more than 70 years of dry cleaning experience from our franchisees. What’s not to love about that? The best way to see the Tide Dry Cleaners difference? Stop by. Check out our store locator to find the store near you. 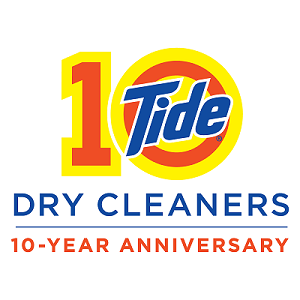 And follow along with more Top 10 lists as we celebrate Tide Dry Cleaners 10th anniversary.